The Ohlins Road & Track kit is designed to offer a very high level of performance for both street driven vehicles, as well as offer the adjustability needed for track cars. 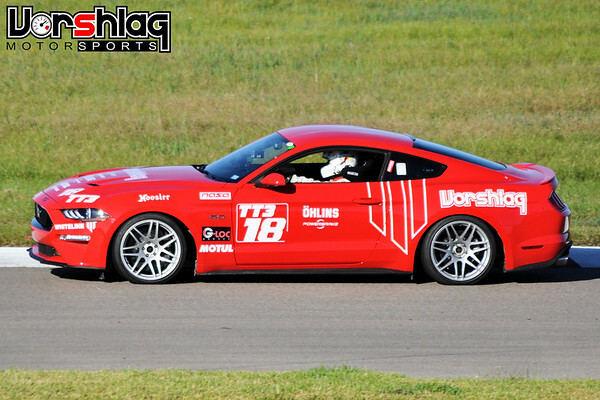 Vorshlag has tested this S550 kit on our own shop TT3 classed Mustang, with amazingly good results on both street tires and Hoosier race tires! These shocks are manually adjustable monotubes, with up to 20 individual settings to adjust rebound from comfort to competition. The threaded body allows accurate adjustability of the front and rear progressive springs to achieve the vehicle ride height center of gravity and level of performance handling desired. 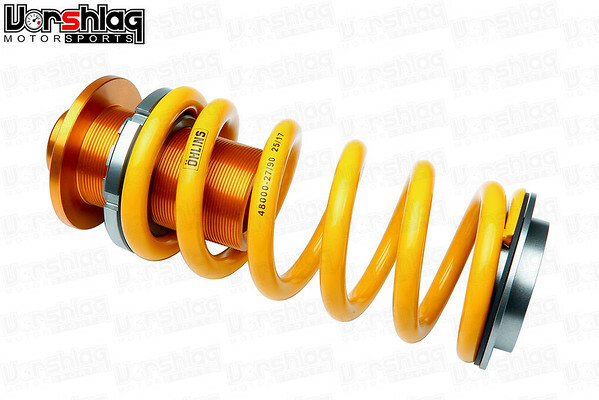 Ohlins Road & Track's can also be revalved, rebuilt, and can be supplied with various spring rates to meet your demands! Ohlins puts every one of their products through vast corrosion test according to ISO 9227. The end result is a 2-Year limited warranty on all of their products - worldwide. The Ohlins S550 kit comes with everything shown above and has adapters to allow this coilover kit to work with the OEM strut mounts. The rear springs run in the stock "divorced" rear control arm location, with rear Ride Height Adjusters and lower adapters, as shown below. We highly suggest adding optional Vorshlag S550 camber/camber plates for any track use, which gives more front alignment adjustment and saves tire wear on track. We also make a spherical rear upper shock mount, that makes sense for more track-oriented cars. Both of these options are shown below. 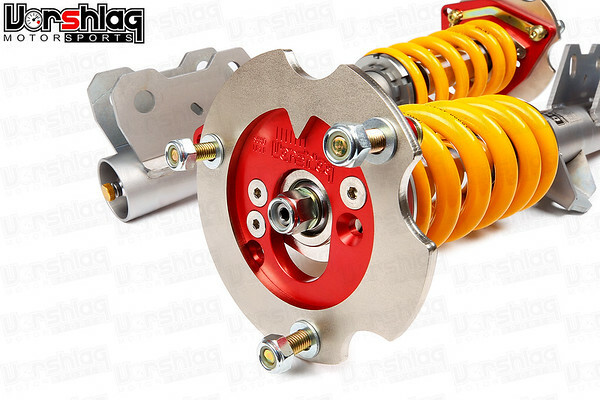 CAMBER PLATES : We highly recommend Vorshlag adjustable camber / caster plates be used with this Ohlins coilover kit, but the shocks and struts can be used with the included adapters with the OEM front strut top mount. This is usually only done for street only cars on an extreme budget. Virtually any racing class that allowed a coilover also allows for camber adjustable top mounts. With the optional camber/caster plates you can easily adjust camber track side. Our over-sized spherical bearings are designed to withstand the rigors of street and track abuse. All components are plated for maximum corrosion resistance and long life. Includes radial bearing upper spring perch to work with the included 2.5" ID Ohlins springs. REAR SHOCK MOUNTS : Vorshlag makes an optional spherical Rear Shock Mount for the S550 chassis. We recommend the spherical RSMs for most users that see any competition use, such as autocross or track events. The advantage to spherical RSMs is their ability to transmit reactions to shock forces instantly and direct - something that shows up on a shock dyno plot. 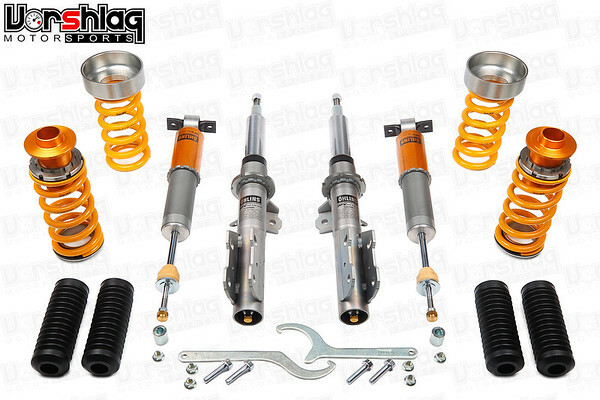 The Ohlins kit uses a coilover spring and ride height adapter that places the spring in the "divorced" stock location. Please see our special Installation Guide for more details on the S550 Ohlins install, which we tested on our shop 2018 GT. 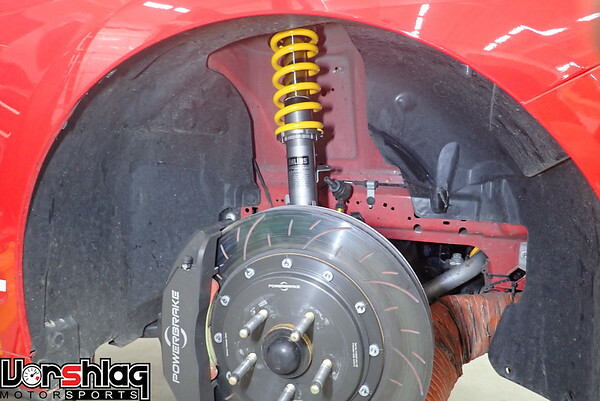 This gallery shows step-by-step installation instructions of this Ohlins 550 coilover kit onto our shop 2018 Mustang GT, with the optional Vorshlag camber/caster plates and spherical RSMs.